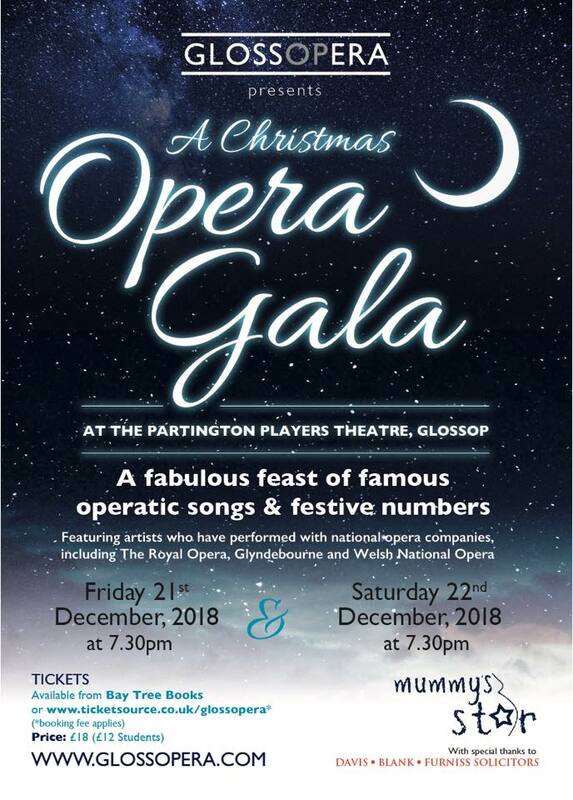 GLOSSOPERA are thrilled to announce the 2018 return of the hugely successful Christmas Opera Galas. With a combination of famous operatic arias, lighter songs and festive numbers, the Galas are guaranteed to get you into the Christmas spirit! Artistic Director, Claire Surman (soprano), will be joined by Catriona Clark (soprano), Charlotte Stephenson (mezzo-soprano), Christopher Turner (tenor), Douglas Nairne (baritone) and pianist Benjamin Powell, for a feast of festive fun!